← Started the cleanup and reassembly! set the punch on the end of the rod bolt and tap it.I just use a plastic hammer to tap the rod cap on the side just make sure it is not bound up. Looking great LTG. After squirting some assembly lube up into the bore from the crank side, rotate that crank so you can get to the rod cap readily. Take that drift , and place it above the rod cap bolt nuts, up on on the cap a bit but near the nuts . Give it a couple loving smacks with a hammer. 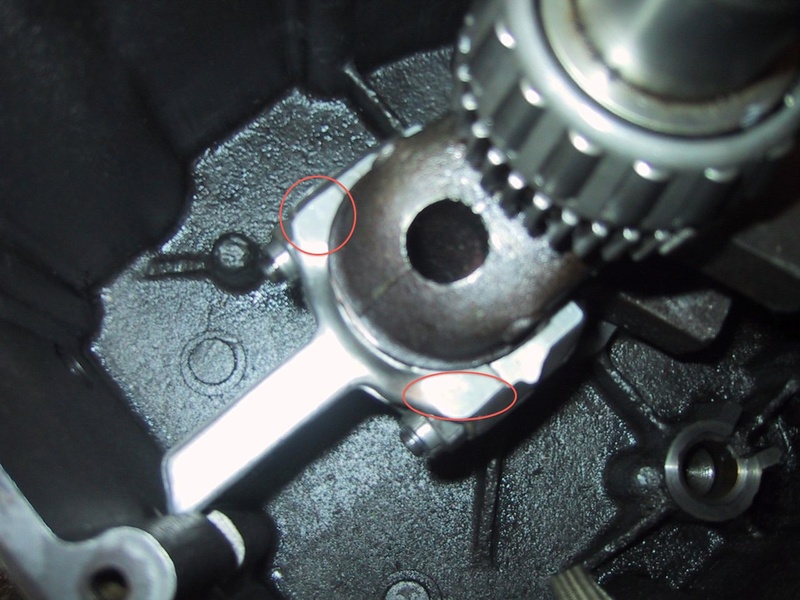 … This will help in true alignment of the cap ( and thus the bearing surface ), relieves stress from assembly should it be cocked in any way due to oil / crud/ ugly bits in between the mating surfaces. I’d bet that the way those rod bolts are assembled at the plant they are only so ” true” to one another, and smacking the cap would help that too. Then go about re- torquing the rod cap nuts per the manual. Okay, so I TAP it HERE! And assembly lube can be any medium-weight oil, right?